Businesses now have the option of sending their messages directly to the inbox of potential customers. We explore here important facets of doing so in an effective manner to bring the maximum return on investment. There are a number of email marketing platforms that can help a business reach its customers in an effective manner. Selecting the right platform for a given company depends on the size of the business and its email list, as well as the level of design and marketing expertise that the user possesses. Those seeking in-depth explanations of the pros and cons of the various email marketing platforms are recommended to consult expert reviews on the issue. Emails with a professional, clean and consistent appearance will have increased chances of customer conversion. The user of various email marketing platforms does not have to be a design expert in order to achieve the desired level of professionalism. Most major platforms, such as Constant Contact, have a number of templates to choose from and support staff to help users customize their templates for their particular business. The more customers an email marketing campaign reaches, the more success it is likely to have. Increasing the number of people on its email list should be a top priority for a business, whether it be through paid campaigns, purchased leads, banners on the company’s own website or social media presence. A marketing email or newsletter’s subject line is like the cover of a book. No matter how interesting the content inside may be to the reader, if the cover, or the subject line in our case, doesn’t catch the consumer’s eye, than the hard work put into crafting the message inside will be for naught. The subject line should spark interest and curiosity in order to not be relegated to the trash before it’s even been viewed. An email marketing campaign that consists of a giant block of unbroken text is less likely to be read by the consumer and therefore less likely to lead to a click or a sale. Pictures enable email marketers to connect with the consumer in a way that text cannot. Breaking up the text with engaging and relevant pictures has been simplified by some email marketing platforms, such as GetResponse, which have iStock integration built into their template editors. Sending out email campaigns does not have to be done blindly. Most email marketing platforms, such as VerticalResponse, include easy to understand reporting tools that can help users understand what works and what doesn’t, so that they can adapt their emails to get better results. 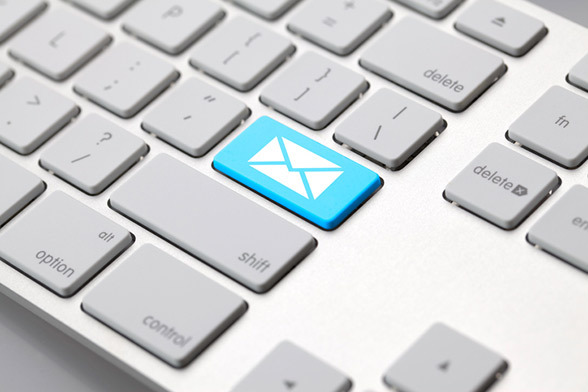 Email marketing campaigns can have such a large impact on the bottom line of a business that it might be tempting to continually increase the number of messages sent to the consumer’s inbox. Businesses must gauge the tolerance level of their customers as not to pass the line into becoming spam. There is a happy medium between getting the most out of a well cultivated mailing list and turning consumers away with excessive campaigns. 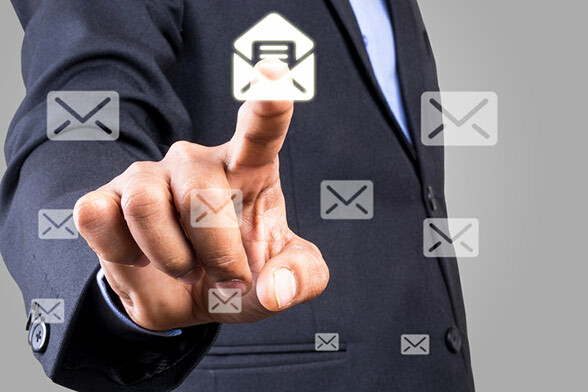 Automations, which are offered by many of the best email marketing platforms, can help businesses respond automatically to certain actions carried out by those on their email lists. Examples are an automatic welcome email being sent when someone signs up to a list, a birthday greeting offering consumers a special offer just for them, or an automatic email reply if a consumer clicks on a certain link. 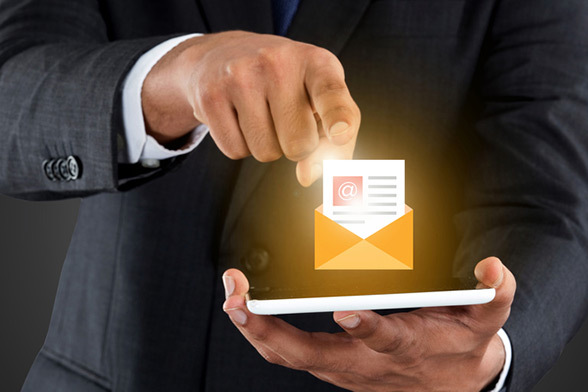 Email marketing in the modern age allows users to not only reach the inbox of their consumers directly, but also to reach their mobile devices while they’re out and on the go. Consumer reading habits and internet activity differ from desktop to mobile and businesses must craft their message with this in mind. Luckily, many email marketing platforms have taken into account the mass move to mobile and have made their templates mobile responsive. In some cases it is prudent for a business not to send a particular email campaign to all of its customers, or not to all of its customers at the same time. Some email marketing platforms, such as Constant Contact, allow users to segment their list through their CRM system. Such tools allow those without vast marketing experience to run sophisticated email marketing campaigns that can help them gain a competitive edge.